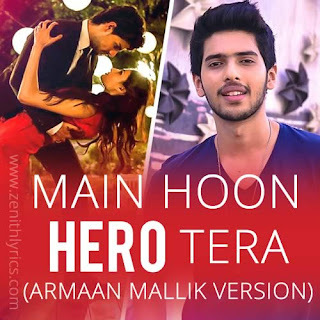 Main Hoon Hero Tera (Armaan Malik Version) Lyrics: A song composed by Amaal Mallik and written by Kumaar. The video song feat. Sooraj Pancholi & Athiya Shetty directed by Nikhil Advani.